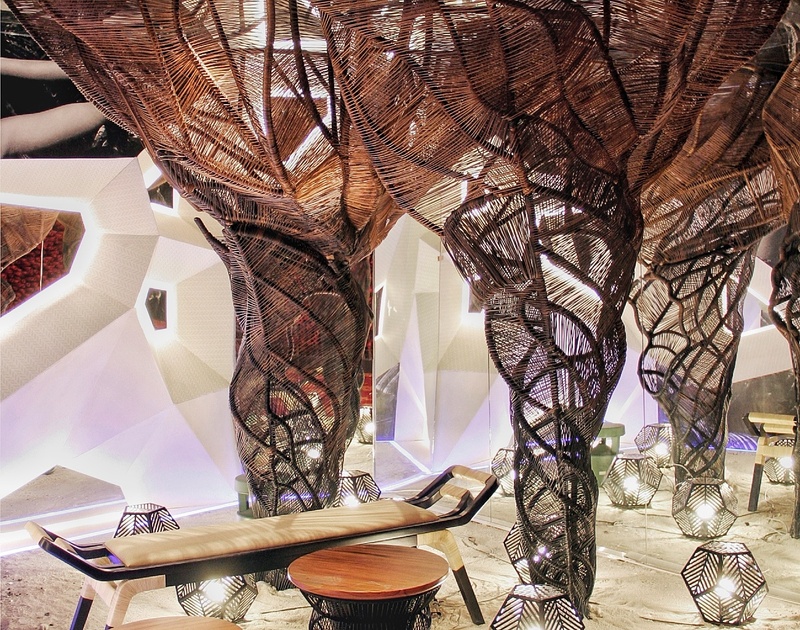 Viro, the leading manufacturer of environmentally friendly all-weather wicker, announces another highly-customizable product of Archineering by Viro, an innovative and creative woven treatment for Marketing Gallery of Lavon Swan City. Jakarta (25/10/2017). 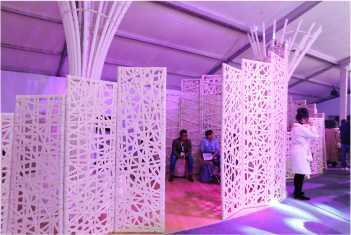 Jakarta Fashion Week this year collaborated with HDII (Indonesian Society of Interior Designer) to decorate the interior's venue. 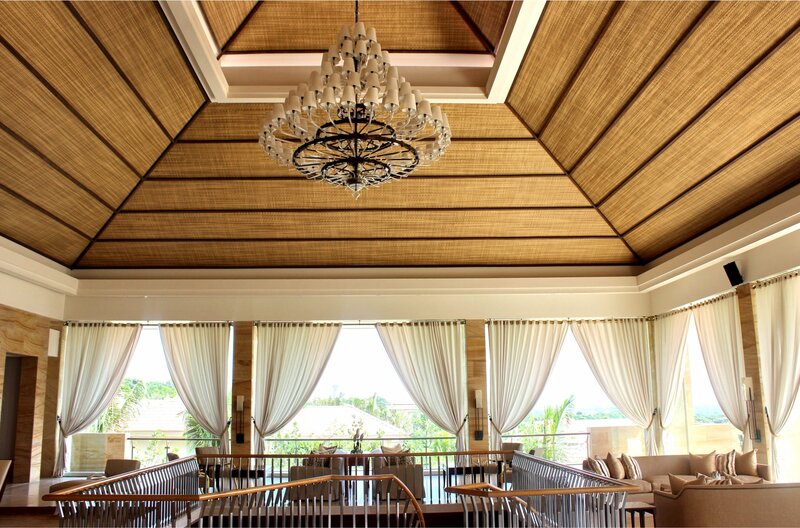 Viro supported HDII with our customized bamboo (translucent) and woven for VIP Lounge's interior which is designed by Theresia Purnomo. 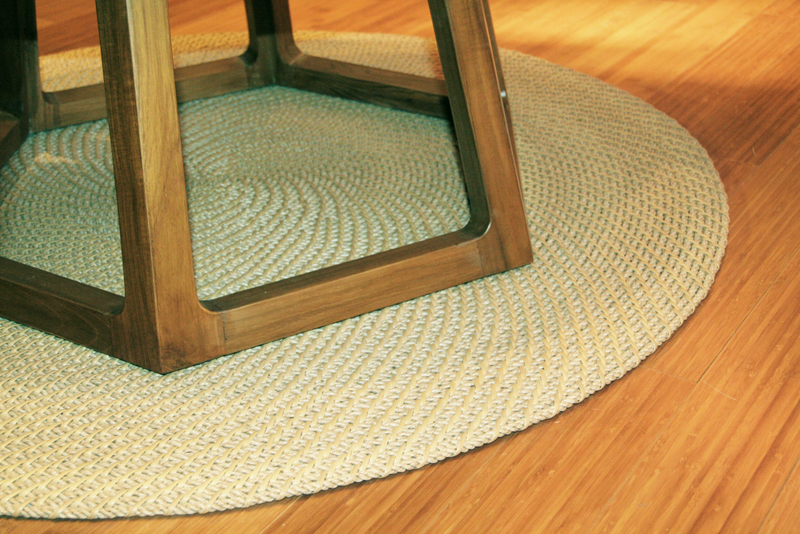 From the material of fibers, fabrication, and weaving, we worked it in-house. PT. 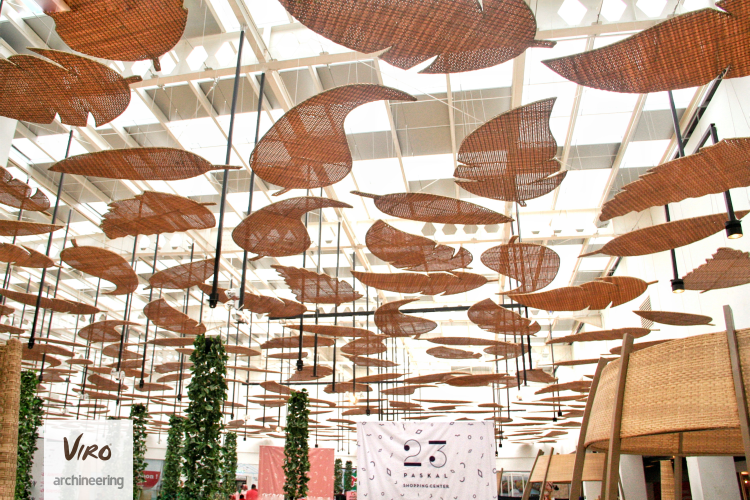 Polymindo Permata proudly introduces Archineering by Viro that was chosen to provide all the wicker panels as ethnic elements in 23 Paskal Shopping Center. 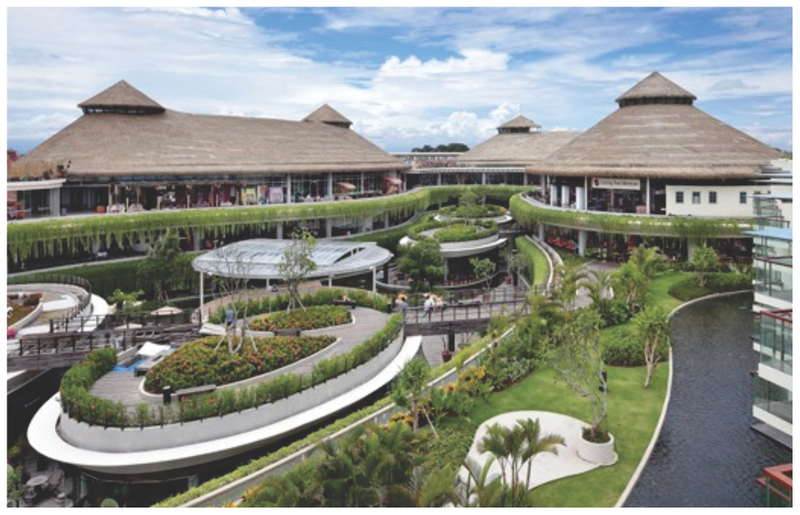 Viro is proud to announce a new era in eco-friendly resort development, as they were recommended by PT Enviro Tec architects, for the installation of Virothatch roof cover in the Sheraton Kuta Lifestyle resort mega-development in Bali, Indonesia. 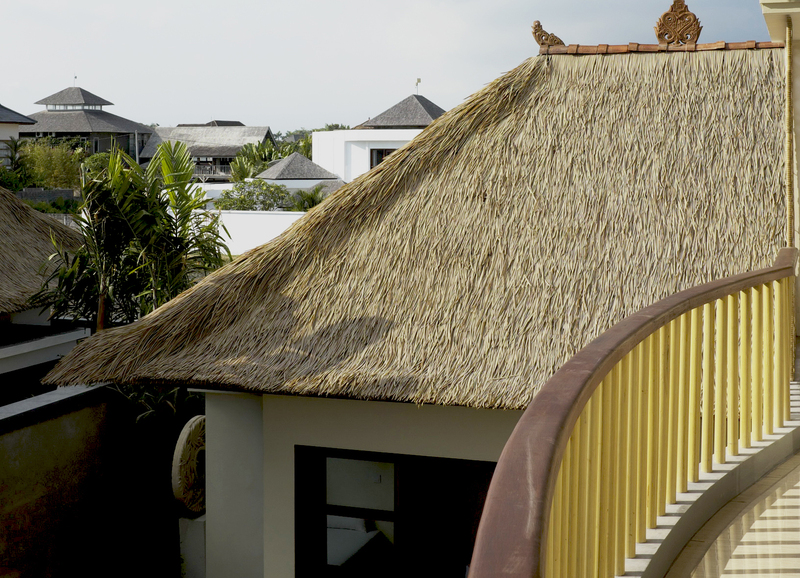 Viro, the leading manufacturer of environmentally friendly all-weather wicker, announces an innovative woven surface treatment that is 100% recyclable, pest free and water proof. Architects, Dani Hermawan, Carolina Djunaedi, Bondan Petra, Wilson Tungajaya collaborated with PT. 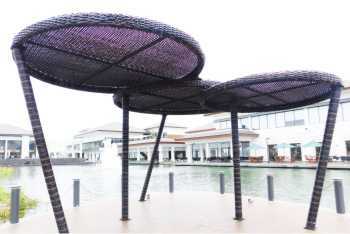 Polymindo Permata, Viro, to create the dome fabricator, named Kirana Dome, installed along the Lenggang riverside. Viro’s Archineering consists of completely-customizable building applications. Using innovative techniques to ensure a totally unique product, Archineering engineers work closely with architects and creatives to imagine and build compelling decorative, architectural elements. Viro is pleased to announce our new grocery produce baskets. These large scale baskets are totally water resistant, non-toxic and food contact safe. 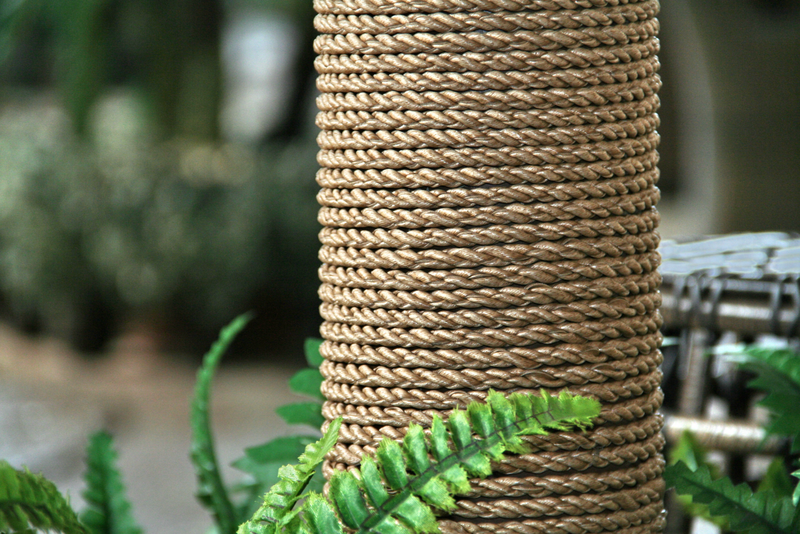 Viromat is a durable product perfect for carpet or sisal, can be used for indoor or outdoor purpose. Custom made and available in a variety of sophisticated and natural color ways. 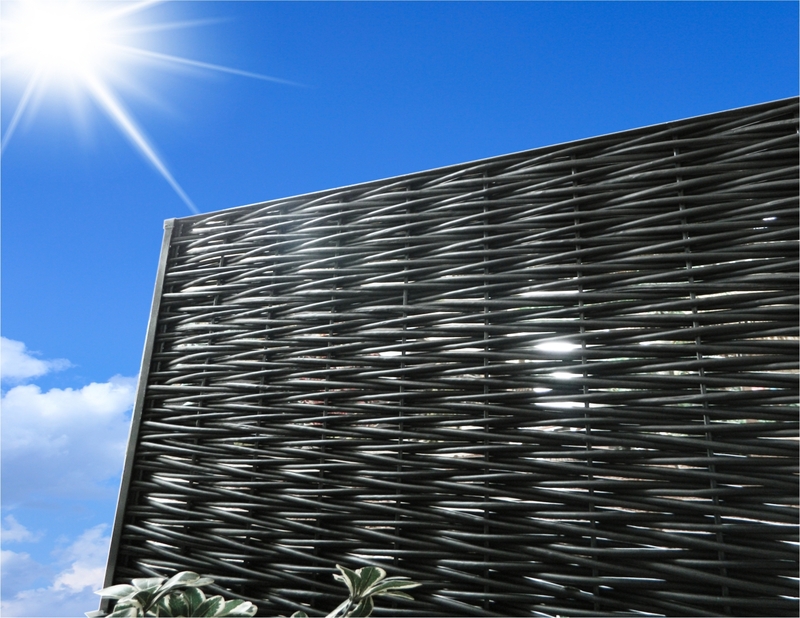 Introducing another highly-customizable product, viroshades, used for functioning and decorative applications. With new creative method and manufacturing, Viroshades was created from the most natural looking synthetic blades of bamboo. 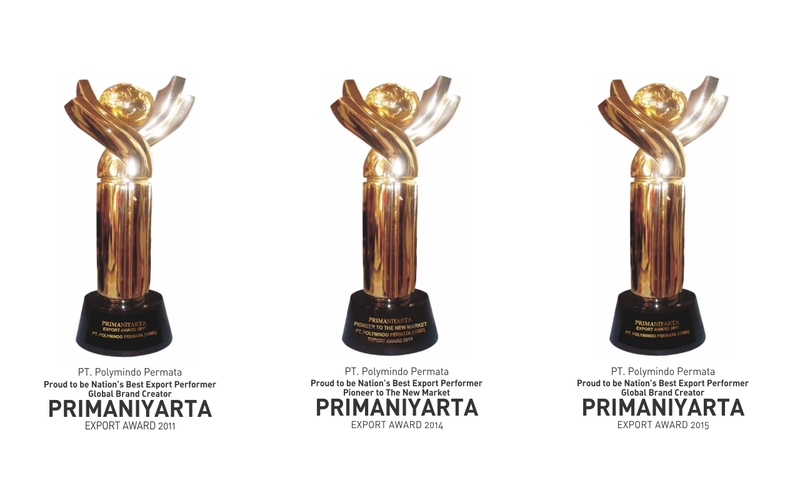 Primaniyarta is the highest award bestowed by the Indonesian Government to Indonesian exporters, who have performed best achievements in export performance, brand building and creative goods and services. The founder of Viro, Junus Sumardi, began his business with two broken-down extrusion machines in the early 1980s. A self-taught plastic extrusion specialist, Junus supplied the domestic Indonesian market with candy sticks and specialty drinking straws.